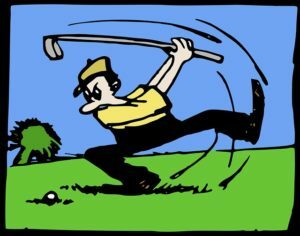 How Can Massage for Golfers Help Your Game? A therapeutic massage for golfers concentrates on relaxing the back, hamstrings, hip flexors, shoulders, forearms and wrists helping to create a bigger shoulder turn, better hip & back flexibility, more powerful torque and a higher finish. With a combination of sports massage, myofascial release and specific stretches, massage for golfers is a sure way to improve any golfers game. One massage may not do the trick so consider making massage apart of your routine. I am committed to helping you play golf pain-free so you can improve your handicap and play for years to come.